U.S. Vice President Mike Pence and Israeli Prime Minister Benjamin Netanyahu were expected Wednesday in Warsaw for a 60-nation conference that they hope will raise the international stakes for Iran. But the two-day conference will also lay bare divisions, with major European allies of the United States sending low-profile representatives amid opposition to President Donald Trump’s strident calls to strangle Iran’s economy. While much of the schedule remained vague, the main session will take place Thursday when Pence, Pompeo, and Netanyahu all deliver remarks and working groups are assigned to discuss areas of concern. A longtime critic of diplomatic efforts to engage with Iran, Netanyahu is likely to deliver a fiery address denouncing its regime. 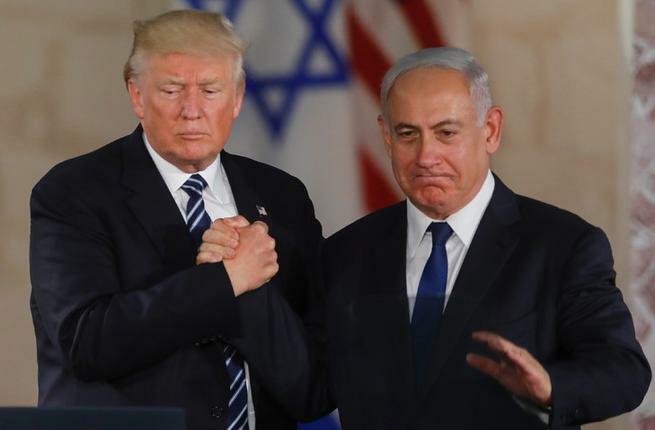 But outside of Israel, Iran’s Arab rivals and the Trump administration, nearly all countries still back an accord negotiated under previous US president Barack Obama in which Iran agreed to end sensitive nuclear work in return for sanctions relief. Even Poland’s right-wing government – eager to please the United States amid constant worries over Russia – has made clear it supports the 2015 nuclear deal, to which U.N. inspectors say Iran is abiding. “The European Union and the United States see the same threats in the Middle East; we sometimes differ on how to solve these crises,” Polish Foreign Minister Jacek Czaputowicz told a joint news conference with Pompeo. Additionally, even American intelligence officials have rejected the Trump administration’s claims that Iran poses a threat to the region, testifying to Congress last week that Iran remains in compliance with the JCPOA and is not actively seeking nuclear weapons. “More than merely embarrassing, the administration’s stated ‘maximum pressure’ approach is incoherent, as America lacks allies willing to support such a strategy,” said Price, now at the National Security Action pressure group. Poland, whose ambassador in Tehran was summoned in protest, has taken pains after Pompeo’s initial announcement to emphasize that Iran is not the sole focus of the conference. “The E.U. does not have enough political weight to really try to influence the situation in the Middle East,” Czaputowicz said, adding that all “democratic nations” needed to come together to resolve longstanding tensions in that region. British Foreign Secretary Jeremy Hunt is the only major European diplomat to come to Warsaw, but he is attending primarily to discuss the humanitarian crisis in Yemen, where several million people are on the brink of starvation. Hunt will participate in a four-way meeting Wednesday evening with Pompeo, Saudi Arabia, and the United Arab Emirates, which have waged a devastating U.S.-backed military campaign against Yemen’s Iranian-linked Huthi rebels. Russia is shunning the conference and will hold parallel talks Thursday in the resort of Sochi with Iranian President Hassan Rouhani and Turkish President Recep Tayyip Erdogan on Syria, where Trump is planning to withdraw U.S. troops. In Warsaw, Turkey said it will only send embassy staff to the conference among its NATO allies. One group that will be out in force will be the People’s Mujahedin, Iran’s formerly armed opposition. The People’s Mujahedin, which was delisted as a terrorist movement by the United States in 2012, has cultivated close ties with U.S. conservatives including former New York mayor Rudy Giuliani, who will speak at a rally by the group in Warsaw.